A brand new Scandinavian duet book. 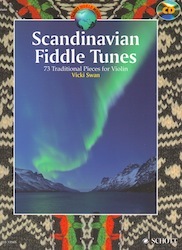 Although the title implies it’s for fiddle this book is perfect for the nyckelharpa. The book contains many of the standard favourite tunes in the current Scandi scene in the UK and many more. Freshly harmonised and set for either nyckelharpa or violin. All 73 tunes are included on a CD recorded by Vicki on the nyckelharpa. 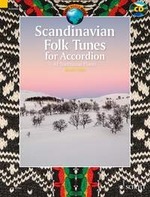 The book contains many of the standard favourite tunes in the current Scandi scene in the UK and many more freshly set for the piano accordion. All 61 tunes are included on a CD recorded by Jonny on the accordion. 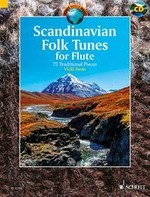 A brand new Scandinavian duet book perfect for the silver flute with Boehm system. The book contains many of the standard favourite tunes in the current Scandi scene in the UK and many more. Freshly harmonised and set for the flute. All 73 tunes are included on a CD recorded by Vicki on the flute.